Imagine a food festival from a nation, which considers Food as its pastime and have a great obsession. I know by now, you would have guessed the nation right, yes, it is about Singapore and this amazing food festival happened at Sheraton Grand, Bangalore. Chef So Chai Huan and Chef Cheam Boon Yuan were the men behind the event. These two came from Singapore to create a perfect platter to include Singapore street food. 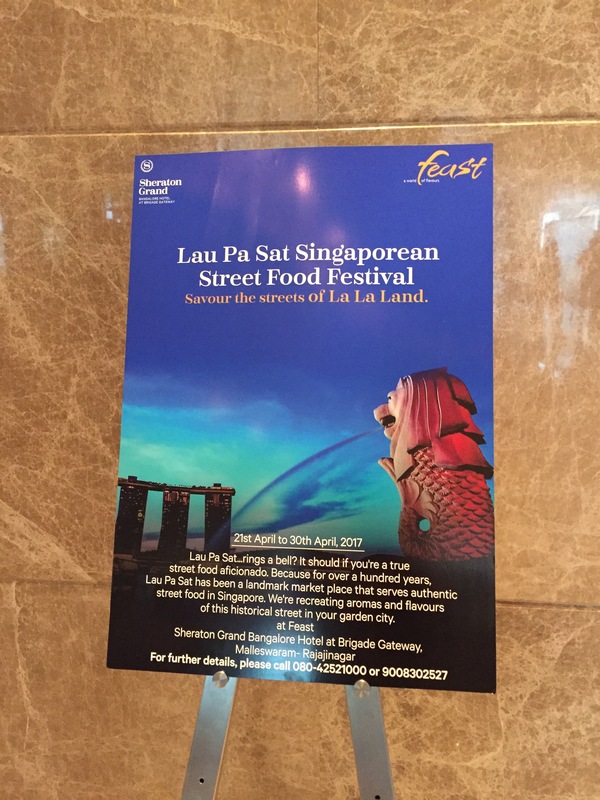 The festival was organized in Feast at Sheraton Grand. We witnessed the preparation of few Singaporean dishes from the Chef which showcased the Chef’s passion. Since, Chef prepared some non-vegetarian dishes, I could not taste, however, my non-vegetarian foodie friends thoroughly relished it. Feast always serves it guests with a widespread buffet. During the Food Festival, buffet was extended to include Singapore dishes. The festival was authentic recreation of the Singapore street food. The buffet also included live counters for Kuih Pie Tee, Hainanese Chicken Rice, Singapore Laksa, and Popoiah. Though, there was little scope for the Vegetarian dishes, these were worth trying as one gets to savor the authentic traditional food of Singapore. It is not very often you get to taste the authentic food from the right source. As always, Sheraton Grand extended a warm welcome to its guests wholeheartedly. With hospitality and service, it is second to none. Hope to look forward for many more food festivals.